Our ethical standpoint encourages market mechanisms to bring about sustainability and social improvements, and private equity and venture capital to add value when appropriate. 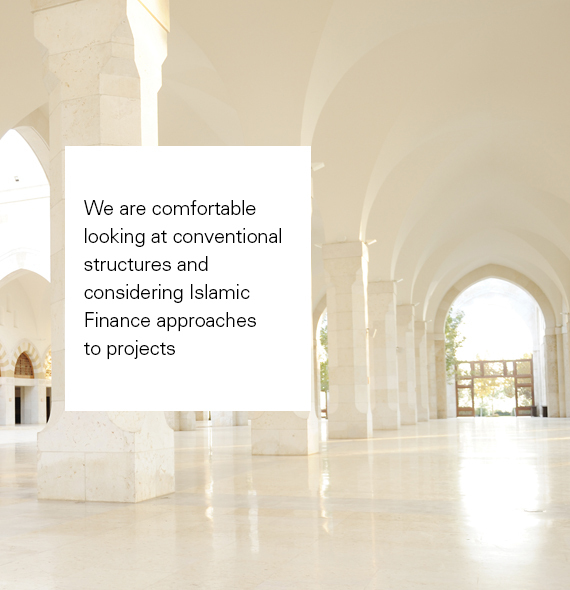 We are experienced in Islamic Finance structures, which carry ethical, social, political and religious dimensions that inform their application; we have developed risk sharing strategies supported by limited government backing to stimulate SME development programmes, created mezzanine funding solutions to advance market confidence in infrastructure investment, and are at the forefront of development of Shariah compliant PPP structures. Altra Capital are founding members of UK Islamic Finance Secretariat (UKIFS).